Various prominent personalities and sports people are expected to attend the event. 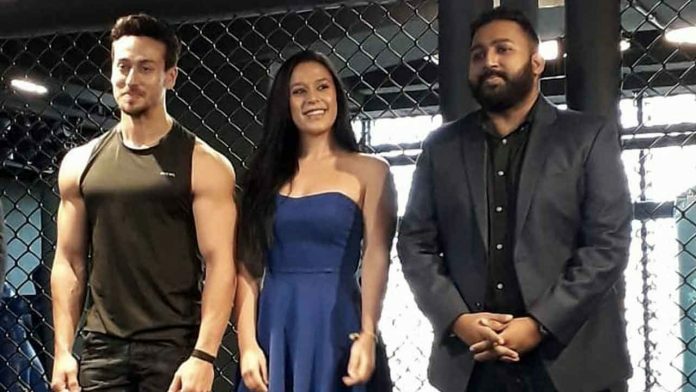 The team behind Tiger Shroff’s MMA centre, MMA Matrix, will aid in organising this event. Sister Krishna, we hear, will play a crucial role in the developments. Fourteen of India’s top fighters will face-off in seven thrilling MMA fight bouts, followed by a formal sit-down dinner. The guest list includes major movie stars, producers and directors and sports personalities. Baaghi 2 actor is all set to spill his magic in his next release SOTY 2. Recently, Tiger Shroff announced of his next film Baaghi 3 which is an addition to his superhit action franchise Baaghi. Previous articleYo Yo Honey Singh Attends Kapil Sharma’s Wedding Reception! Next articleKGF Stars Yash And Srinidhi Took A Success Tour To Hyderabad!